Any exercise is better than none, but these workouts are proven to add more—and better—years to the average person’s life. If you want to live longer—and better—you need to exercise. And while some movement is always better than none, a substantial body of research shows people who do certain types of exercise live longer. So, if you’re hoping to blow out 100 candles someday, here are the training styles to help make it happen. Whether you want to try your hand at team sports or a group fitness class, you’ll be in good company. A 2018 study in Mayo Clinical Proceedings found people who work out with others live longer than those who exercise solo. Compared with doing little to no exercise, playing tennis regularly was associated with an additional 9.7 years of life. Badminton, 6.2 years. And soccer, 4.7 years. Solo activities like jogging and swimming also added to lifespan, but at smaller increases: between 3.2 and 3.4 years. 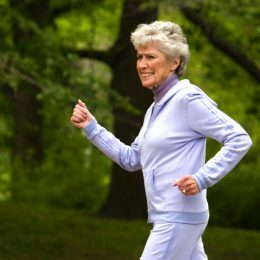 Meanwhile, a recent study from the Massachusetts Institute of Technology AgeLab found SilverSneakers members who participate in group exercise are more active and feel healthier than non-members. They’re also 20 percent less likely to experience social isolation—which has been linked to higher rates of dementia, stroke, and early death. So grab a friend, sign up for an exercise class, and make your workout double as a social outing. If you haven’t yet, check your eligibility for free access to gyms and fitness classes through SilverSneakers here. Already a member? Find a location here. Whatever type of exercise you prefer, increasing its intensity can improve longevity. In a 2017 Cell Metabolism study, researchers studied the effects of three different exercise programs—high-intensity interval training (HIIT) on a bike, resistance training, and a combination of both—on 72 men and women. While all types of exercise were better than none, HIIT increased mitochondrial capacity in older adults by 69 percent. Mitochondrial capacity refers to the cell’s ability to use oxygen and turn it into energy. Its decline is a primary contributor to what most people call “aging,” the researchers say. The thought is, improving your mitochondrial capacity—or the way your cells work—can help you live longer and feel younger. You can do high-intensity intervals with a variety of exercises, including cycling, swimming, and jogging. The key is to alternate short bursts of working very hard—8 or 9 on a scale of 1 to 10—with periods when your heart rate comes back down to near resting levels. For instance, if you’re a runner, you could sprint hard for 20 seconds, walk for one minute, and keep alternating for a total of 20 minutes. Learn more about HIIT and how to safely incorporate it into your routine here. And if HIIT isn’t right for you, consider adding low-intensity intervals to your walking workouts. Stronger muscles, longer life. That’s the conclusion of a large, ongoing body of research, including one study in the American Journal of Medicine showing muscle mass is an indicator of longevity and health in older adults. 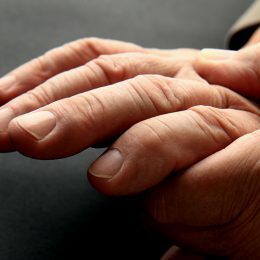 According to a Lancet study, grip strength—an established marker for total-body muscle strength—predicts the likelihood of cardiovascular death even more accurately than blood pressure does. 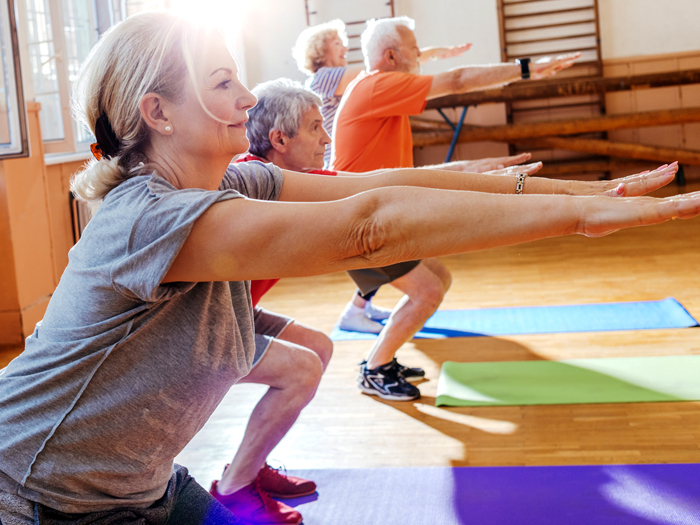 “Muscle mass is a strong predictor of one’s ability to combat disease and even survive cancer treatments,” says Arny A. Ferrando, Ph.D., professor of geriatrics at the University of Arkansas for Medical Sciences Institute on Aging. To maintain the muscle you need, aim to do strengthening exercises at least two days a week. You can do bodyweight exercises or use resistance bands, dumbbells, or gym machines. Get started with our beginner’s guide to strength training. 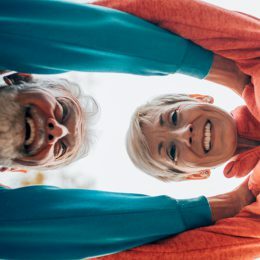 “Exercise is a mood enhancer, thanks to feel-good endorphins, but exercising outdoors may enhance mood even further,” says senior exercise specialist Cindy Brehse. Research shows time in nature reduces production of the stress hormone cortisol, which contributes to inflammation and related chronic conditions, she says. Bonus: In studies, when people exercised outdoors, they reported they preferred their workouts and were more likely to stick with them. “In the end, the best exercise for longevity is the one you will do over the long term,” Brehse says. Just remember to put safety first. Make sure someone knows when and where you’re going. Check the weather beforehand. And if you exercise before sunrise or after dusk, wear reflective clothing. A lover of nature? Consider finding or making your own hiking group, or check out volunteer opportunities like tending to our national parks or dog walking.